Cast your vote in America’s Top Family Fishing and Boating Spots Sweepstakes! TakeMeFishing.org is on a mission to identify this year’s Top 100 Family-Friendly Spots for Fishing and Boating and they need your help. 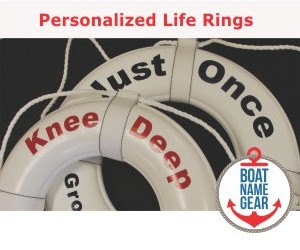 Recreational Boating & Fishing Foundation (RBFF) announced this week the return of its popular America's Top Family Fishing and Boating Spots Instant Win and Sweepstakes. Consumers are being asked to vote for their favorite family-friendly fishing and boating spots across the country and will be entered to win an instant prize of a Take Me Fishing™ backpack and one lucky grand prize winner will receive their own memory-making experience from Take Me Fishing™: a three-night, four-day stay for four at the Walt Disney World ® Resort, including a Guided Fishing Excursion. The Sweepstakes, back for its third consecutive year includes new features, such as a Spanish-language version, mobile-friendly components and a broadened list of locations to vote for. 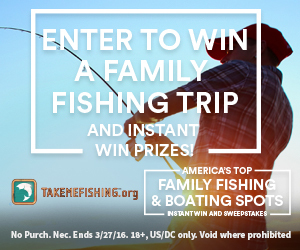 As part of RBFF's Take Me Fishing and Vamos A Pescar™ campaigns, the Sweepstakes ultimate goal is to increase awareness of the great family-friendly places across the country and get more families out on the water fishing and boating. This year's Sweepstakes includes several National Parks like the Everglades, which ranked No. 1 on the 2015 Top Places list . Offering more than 310 pre-selected family-friendly parks from across the U.S., entrants can vote daily for the three parks they feel offer the best fishing and boating experience based on family amenities, location and the likeliness to catch a fish or enjoy a day on the water. The Sweepstakes voting duration is six weeks-long, ending on March 27, 2016 at 11:59pm EST. The parks with the most votes will make the list of the 2016 America's Top 100 Family Fishing and Boating Spots, which will be released during National Fishing and Boating Week from June 4 - 12, 2016 and promoted throughout the summer. It's that time of year again. You know it if you live near the Great Lakes, or in New England, or the Pacific Northwest. It's been too long since you've been on the water. 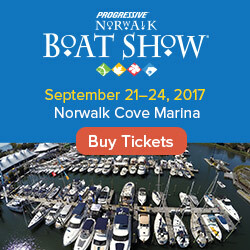 It's way too cold to boat in many parts of North America, but you can get a little taste for boating season by attending a winter boat show! New England, New York, Seattle, Toronto, Chicago... Have you been to a show recently? If so, tell us about it - were the boats bigger this year than in recent years? What about the price tags? Did you buy a boat, or do you plan to soon?